Did you know that 92% of the Americans agree on the need for testing out mattresses before buying? 66% consider it to be very important, while 26% think testing them out is somewhat necessary. These statistics show that despite the success of e-commerce, most people still prefer offline mattress shopping. But testing sleep products at brick-and-mortar stores can be a real hassle. especially if you don’t know how to test mattresses or are overwhelmed by the hundreds of choices out there. Here is a list of 8 super important mattress buying tips that will help make the mattress testing process easier for you. Buying a mattress is kind of similar to buying a wedding dress. It’s an unwritten rule that you shouldn’t buy the very first item you try on. Makes sense! You will be sleeping on the mattress for decades so it must be chosen very carefully. Experts suggest you try out different mattress categories and explore all your options. In your mind, you may prefer a foam mattress, but it is best to check out the innerspring, latex or hybrid choices as well. Similarly, on the market, not all mattress categories are the same in terms of feel and comfort. For example, you might not like a memory foam surface by one brand, but you may fall in love with the same category bed offered by another company. Many designers innovate their merchandise to meet the existing gaps that customers often complain about. And thus, items from the same category but different companies may differ when you try them out. In short, while you are taking your time trying out various mattresses, it is always wise to check out other trendy products as well. Who knows - you may discover the latest sleep technology that perfectly fits your sleeping style! If you sleep with a partner, considering their mattress preferences is essential. You may each like a different type of firmness, mattress category, temperature, or material. Many brands offer couple-friendly beds. They provide options to customize the design to suit both your choices. You may get two-in-one comfort feel or get a blended design. Besides, you should also consider the mattress size that would accommodate two persons. For example, most couples go for a Queen sized mattress or a King sized bed, depending on their body type. Customer reviews are quite helpful when it comes to buying products. Many people provide detailed reviews on consumer blogs, social media comments, or product websites. It is a useful way to get insights about a product’s quality and how it will perform over the years. The feedback helps you understand the features of the sleep items and how they will impact your sleeping style. 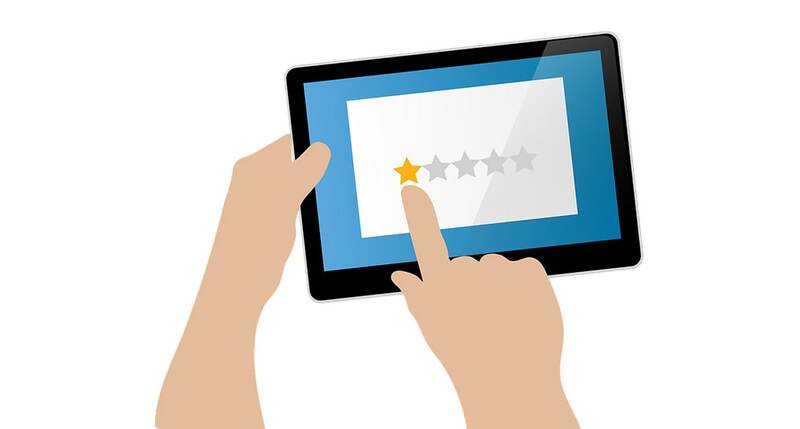 Customer reviews highlight the firmness level, support, density, mattress thickness, material quality and many other features of the products. Through the nitty-gritty info, you can make more informed choices about your mattress purchase. SleePare offers unbiased, in-depth reviews on multiple beds and bedding items. You may also check best-rated mattresses and top-rated pillows based on customer and professional satisfaction scores. In addition to considering consumer reviews, professional sleep experts can also provide valuable insights into the quality or performance of a sleep product. Many mattress dealers or stores hire salespersons with years of experience in the industry. So do seek their advice if you feel you are stuck with many options. They may ask you about your preferences and budget and help you find a suitable item. Among the most significant features that you should be considering during mattress testing process, is the firmness and support of a bed. If you are particularly prone to waking up sore, being mindful of the mattress support is crucial. The firmness level is different from the mattress density. If a bed is dense, it doesn’t necessarily mean the surface would be firm. Consumer Report shopper, Tod Marks says, “The only way to determine if the cushiness and the firmness is right for you is to lie down on the bed and try it for yourself.” So keep in mind that if, for example, it says medium-firm on the tag, the surface might feel a bit softer or harder to you, depending on your preferences. Thus, trying the mattress for some time can help you identify if the firmness level is right for you. Back sleepers usually prefer mattresses on the firmer side of the comfort scale while side sleepers like a plush feel. When you are testing the bed, see if your sensitive pressure points are properly contoured. A conforming surface ensures a rejuvenating, pain-free rest. Always trust your instincts while testing a bed. If you feel it isn’t good for you, don’t go for it! Even if most people prefer a popular brand, it may not be suitable for you. If a salesperson is nagging you to buy a bed that is heavy on your pocket by convincing you it is right for your body, but you don’t agree with them, trust your gut. You know best what is a better mattress for you. Learn about the store or brand policies regarding trial period, warranty, and shipping and return procedures. Free shipping and returns can help you save big on mattress purchase. The returns and refunds are issued if you avail it during the trial period. The trial period usually extends to 100 days. This is the perfect time to get adapted to your new mattress and see if it is improving your slumber experience. Additionally, check out the bed warranty. It is useful in case of any mishaps or accidents that cause damage to the mattress. Warranty claims cover basic repairs and exchanges. So make sure you have clear info about these policies before you make a final decision about mattress purchase. You really can’t test the feel or comfort of a mattress in just 5 minutes. Experts suggest that you should lie down for a solid 15 minutes on a mattress to test its feel. This gives you ample time to realize the potential of a bed fully and whether it is supporting and contouring your body curves properly or not. Consumer Report states that the customers who spend more than 15 minutes testing a bed are happier with their choice than the people who spend lesser time. If you sleep for 5 minutes in every sleeping position, you can experience better adaptability of the mattress. Even though more and more customers are opting for online sleep products shopping, testing them out at a showroom still has its own merits. Various online mattress brands have their display stores where they allow customers to explore their merchandise and learn more about their product lines. But seriously, who has the time or the energy to visit a bunch of separate showrooms? Wouldn’t you instead go to a place where you can try dozens of mattresses and pillows together? Pay a visit to SleePare showroom. It is an emerging platform in the mattress industry, striving to help consumers find their dream mattresses and bedding products. The SleePare showroom is a perfect setting with a comfy ambiance where you can nap on numerous beds and make more informed decisions to improve your slumber experience. As a cherry on top, you don’t even have to pay a dime for the services! So go check out SleePare.com right away!